We recently spent a lovely three-day weekend in Redding California, which lies within the Shasta Cascade area that covers a large portion of northern California. Redding is an approximate 2.5 hour drive from Sacramento or 3.5 hour drive from San Francisco, a perfect distance for a weekend getaway. Redding and the surrounding area is definitely most known to travelers for its scenic natural wonders and the opportunity to engage in a multitude of outdoor activities such as kayaking, hiking, sailing, and biking. However we wanted to combine a healthy dose of outdoor activities and natural scenery with some local culture and romance. During the days, we hiked, explored caves and dams, visited museums, and gushed at majestic waterfalls, but in the evenings we dined well, gazed at romantic sunsets, and stayed in a cozy bed-and-breakfast. Keep reading for our tips on how to plan your own weekend in Redding, a guide to things to do in Redding California, and our tips on how you can combine romance, local culture and history, and outdoor adventures to suit your own personal tastes and preferences. Whereas buses are a possible way to get around the area, the easiest and most efficient mode of transportation will be driving. We’d definitely recommend driving here or renting a car to get the most out of your trip as many of the attractions can be far apart and not easily accessible via public transportation. Redding is an approximate 2.5 hour drive from Sacramento or 3.5 hour drive from San Francisco. Bikers may want to drive here and then plan a route that allows for biking between attractions as there are a lot of great biking paths and trails in the area. The best time to visit depends a lot on what you are interested in doing as winter snow may close certain areas such as Lassen Volcanic National Park but allows for many fun wintertime activities such as skiing, snowshoeing, and ice skating. Spring and summer are great times for water activities such as rafting, canoeing, swimming, and boating. The area can get quite hot in the summers and cold in the winters, and has four distinct seasons. If you are looking for the most temperate seasons, plan a visit during Fall or Spring. 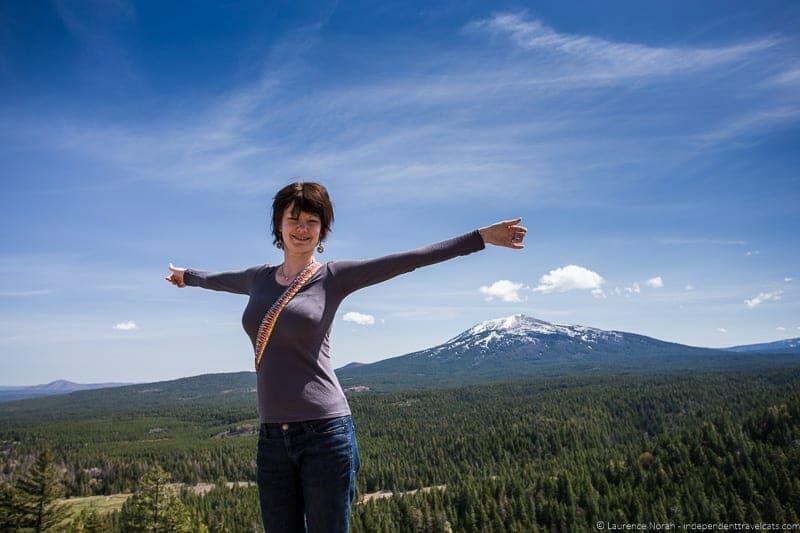 There is an endless amount of things to do in Redding and the Shasta Cascade area from hiking to waterfall hunting to learning about the historic importance of gold mining in this area to visiting a national park filled with volcanic wonders. It may be hard to know where to start when planning your itinerary, especially given that seeing the highlights of this region is set out in a 14-day itinerary by the local tourism board! But even if you just have a long weekend in Redding like we did, you can still see many of the interesting sights of this region, but you will need to be choosy. Below are some of the highlights we recommend depending on your interests. You’ll also want to check out this Shasta Cascade blog post written by Laurence which provides some great tips on the best outdoor activities and the most photographed scenery around Redding. Many visitors to this area are drawn for the outdoor activities or for the nature views available along its many scenic highways. 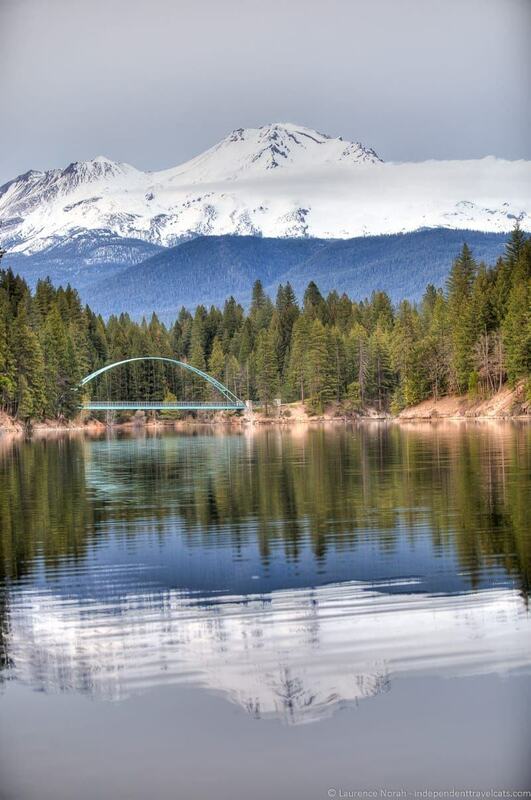 Redding is known as “California’s Natural Gateway” and the larger area of Shasta Cascade contains seven National Forests and eight National and State Parks! The area offers an abundance of outdoor recreation opportunities, including fishing, boating, golfing, hiking, climbing, horseback riding, kayaking, biking, mountain climbing, caving, sailing, bird watching, camping, skiing, snowshoeing, and even dog sledding. 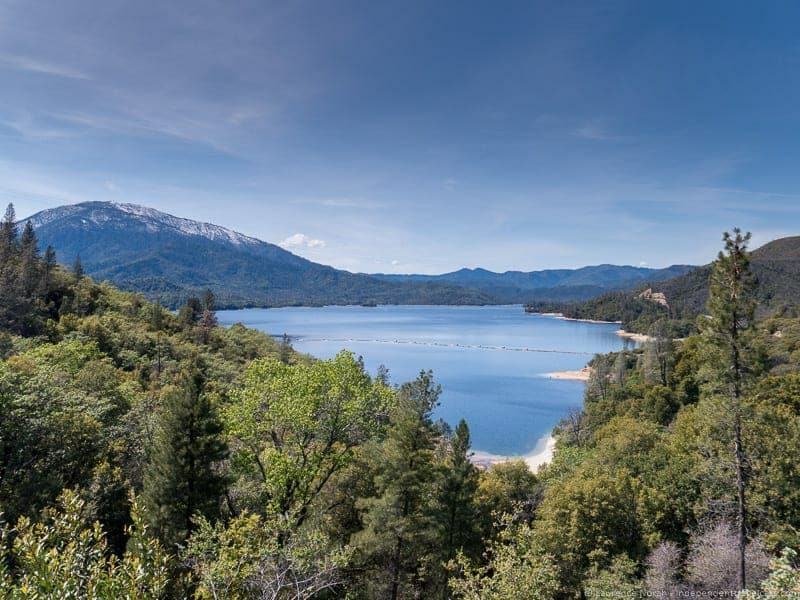 In the Redding area, there are over 225 miles of hiking trails, including over 70 miles of trails at the nearby Whiskeytown National Recreation Area. One of the most popular is the 17.4 mile Sacramento River National Recreation Trail (combination of the Sacramento River Trail and the Sacramento River-Rail Trail) that can be taken all the way from Shasta Dam to the famous Sundial Bridge. Many visitors trek at least a small part of this paved riverfront trail to see a bit of this area’s natural beauty. Further afield, the Bizz Johnson Trail offers a 25.4 mile hike through the rugged Susan River Canyon following an old Southern Pacific Railroad line, and those who trek it will discover twelves bridges, two tunnels, and lots of great mountainous views! Also, don’t forget about the Lassen Volcanic National Park which features the opportunity to hike, fish, camp, and learn about wildlife amongst an array of lakes, streams, meadows, and fascinating volcanic features! If you enjoy kayaking, you’ll be right at home in Redding which earned a place in Time magazine for its “weird obsession” with kayaking and is now known as the “Unofficial Capital of Kayaking”. Here is a guide to some local kayaking spots. For those adventurous souls interested in mountaineering, you can even climb a mountain such as the 14,162-foot Mount Shasta, although be sure to check climbing conditions and obtain required permits before hiking in the Shasta Cascade area. The list of potential outdoor activities is extensive! For much more information about available local outdoor activities, local rental and tour companies, and current weather conditions check out Visit Redding’s website for activities in and around Redding, Visit Mt. Shasta for those related to Mount Shasta and the surrounding area, and the Shasta Cascade tourism website for information about the entire area. There are a number of ways you can learn more about the history and culture of the Shasta Cascade area. 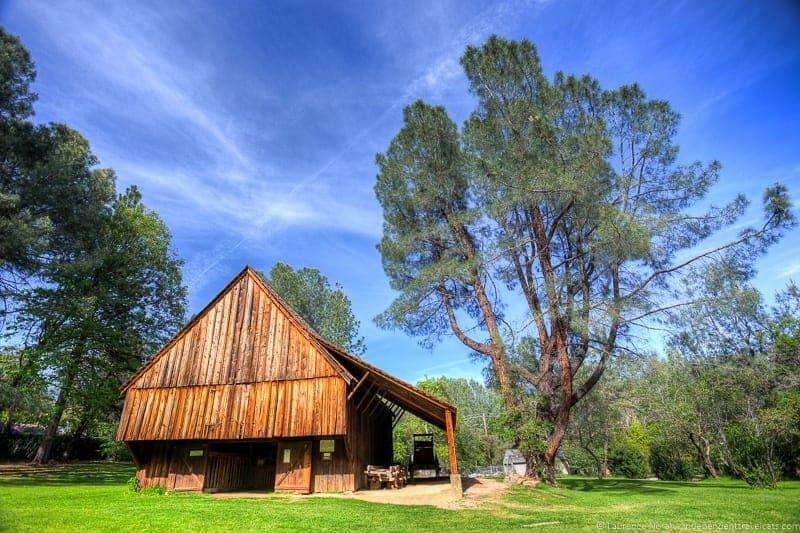 One of the top places to visit in Redding is the Turtle Bay Exploration Park which is a large park complex in Redding that consists of a museum, beautiful gardens, animals, a forest camp, a cafe, and the Sundial Bridge. All aspects of the Turtle Bay Exploration Park are well worth a visit and you can easily spend half a day here. The museum includes both permanent interactive exhibits that focus on regional history and nature as well as two large special exhibition galleries. 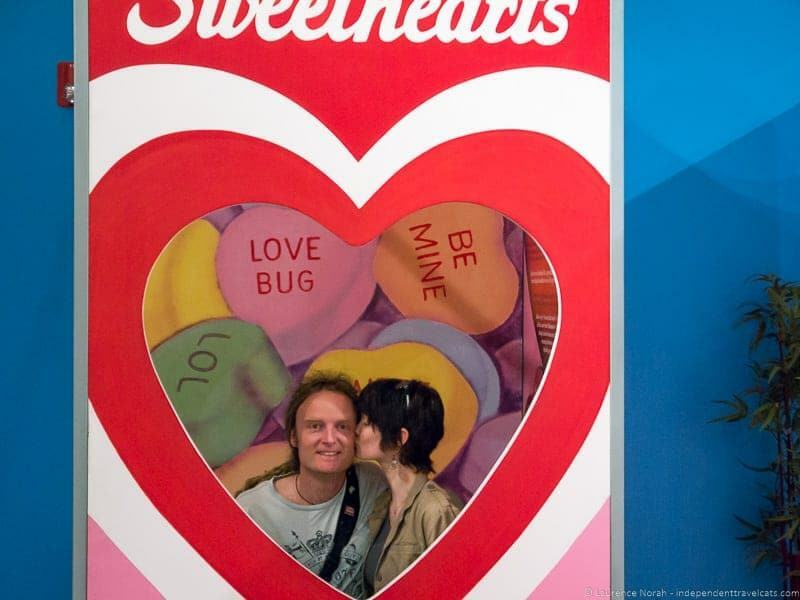 During our visit, one of the temporary exhibitions focused on the social and cultural aspects of the candy industry with some free candy samples included of course! For those interested in the history of the Shasta area, I would highly recommend a stop at the Shasta State Historical Park located 6 miles west of Redding. Here you’ll find what remains of the old town of Shasta, once a booming gold mining town nicknamed the “Queen City”. The highlight of the 19-acre park is the County Courthouse (built 1861) which has been restored and now serves as museum and visitor center. There is also a row of half-ruined brick buildings, cottages, the Pioneer Barn which contains a stagecoach, and a Catholic cemetery that can be explored within walking distance of the museum. We really enjoyed a visit to the Litsch General Store (operated from 1850-1950) which has been restored and is filled with many original items that were actually for sale at that time. There are also picnic tables and bathrooms near the barn so it can be a great place for a picnic on a sunny day. If you want to learn more about the Shasta area, we recommend checking out the historical walking tours provided through the Shasta Historical Society which include tours of downtown Redding, the Shasta State Historical Park, and the local bridges. If you are based in Redding, you can check out this list of historical places in and around Redding compiled by a local history buff and make a do-it-yourself walking tour. Many towns within the Shasta Cascade area feature small local history museums such as the Lassen Historical Museum in Susanville. You can also visit the downtown centers of many of the small towns that have often still retained some of their historical buildings. For example, McCloud is a small town that has a rich history that began with timber mills and the railroad and its downtown area is a Nationally Registered Historic District. You can also visit McCloud’s Heritage Junction Museum on Main Street which houses 100 years worth of historical local artifacts, photographs, and exhibits. The natural wonders of the Shasta Cascade area are plentiful, but you might also want to consider taking some time to appreciate some of the amazing manmade structures. Because of the number of rivers and streams, the area has a lot of bridges, including historical ones such as the Diestelhorst bridge, built in 1915, which is the first and oldest concrete bridge across the Sacramento River. However, even if bridges are not your cup of tea, you’ll still want to take a look at the beautiful design of the Sundial Bridge located at the Turtle Bay Exploration Park. 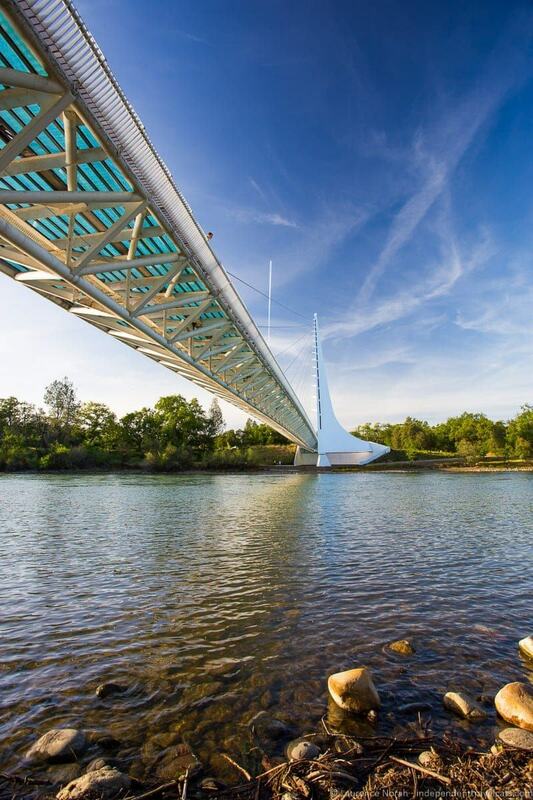 It is a translucent glass pedestrian bridge spanning 710 feet that was commissioned by world-famous Spanish architect Santiago Calatrava, and is one of the most photographed sites in Redding. 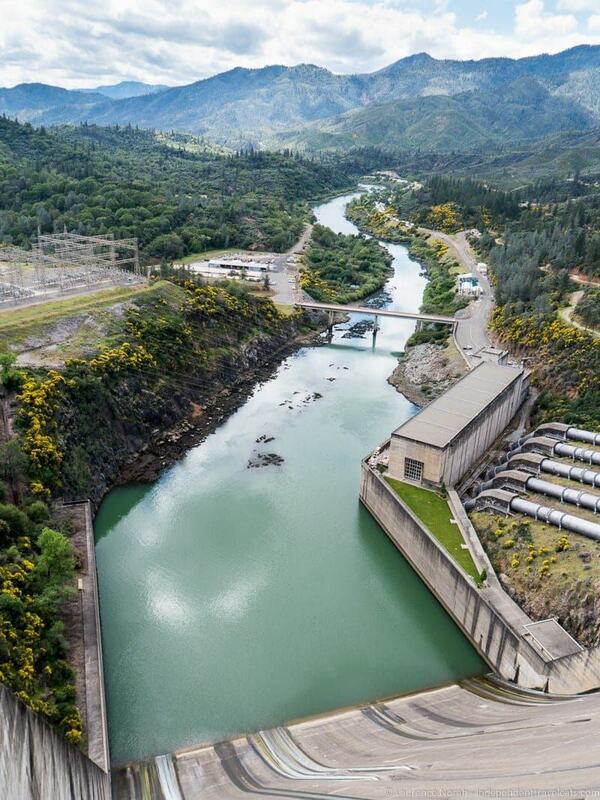 Another great manmade wonder you might consider visiting is the large Shasta Dam. The Shasta Dam Visitor’s Center not only provides free informative tours and exhibits about the dam and local area, but a walk across the dam also affords great views over Shasta Lake. Check out Laurence’s Redding post about our visit for more great photos of the dam, bridges, and lakes! The Shasta Cascade area has a number of caverns, but few are open to the public or easy to explore if you are not an experienced caver. 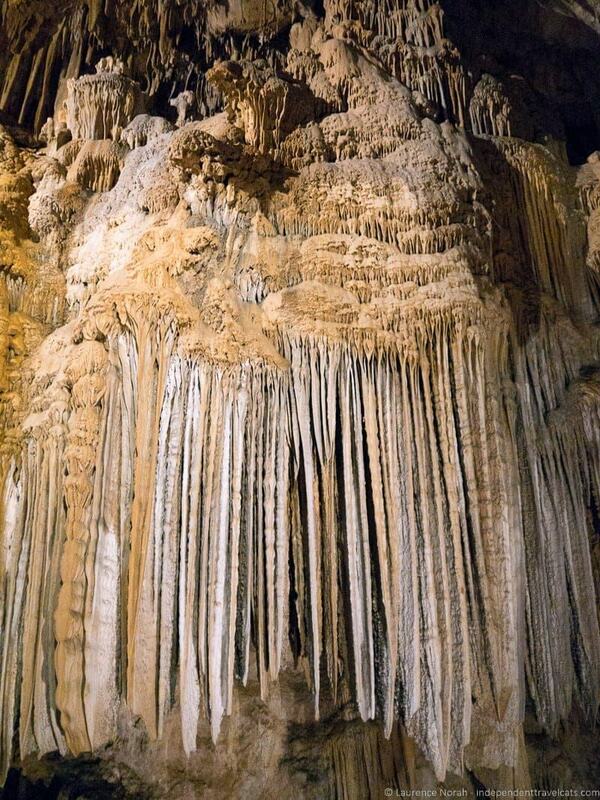 However, you can take a tour of the large Lake Shasta Caverns that were first opened to the public in 1964 and are believed to be about 250 million years old! Our tour started with a short boat ride across Shasta Lake, a short hike to a bus, and then a bus ride up a steep hill to the cavern entrance. Then we spent about 45 minutes inside the cave with our guide learning about the history of these limestone caverns and the various cave formations. The tour ran very smoothly despite needing to board boats and buses along the way and our guide was really knowledgeable. We both really enjoyed it even though we’d both been on various cave tours in the past. If you do this tour, keep a look out when outside the cave for local animals as this mountain is home to a number of local birds and animals such as the bald eagle, black bear, bobcat, and black-tailed deer. This tour is not appropriate for those with mobility issues given the amount of walking and large number of steps. 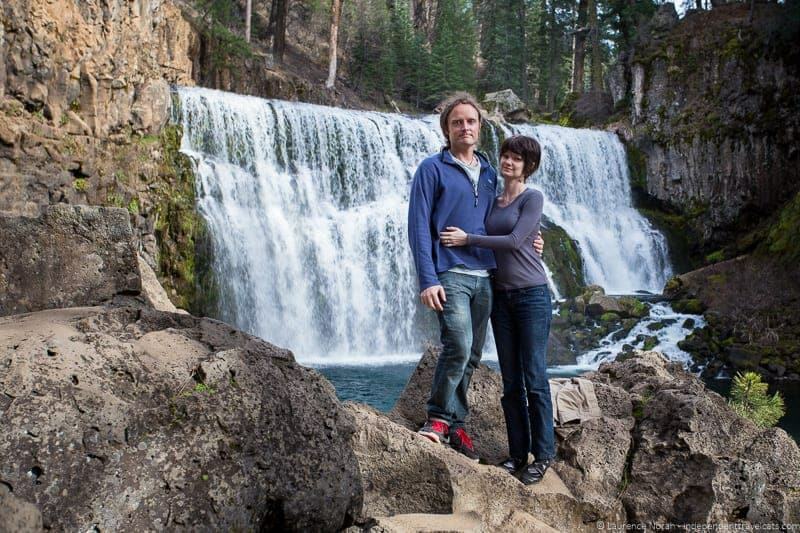 There are three main places we’d recommend heading in the Shasta Cascade area if you love waterfalls. 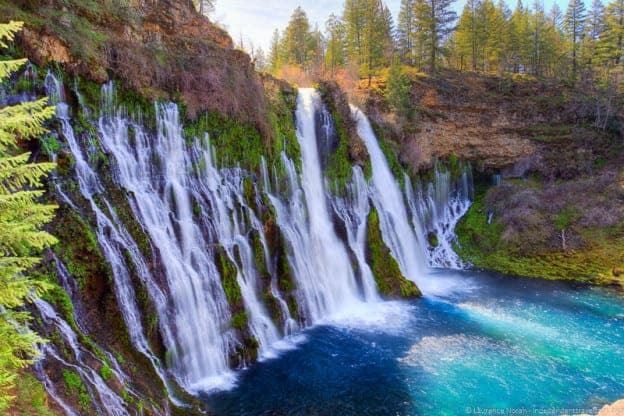 The first and probably the most popular to see is Burney Falls at the McArthur-Burney Falls Memorial State Park which is about a one hour drive east of Redding. Burney Falls is a majestic 129-foot waterfall and about 100 million gallons of water flow over this waterfall every day! We recommend doing the short loop hike that takes you down past the falls and around as the scenery is quite nice and you’ll probably see people fishing along the river. Not too far away are the McCloud Falls located within the Shasta-Trinity National Forest. 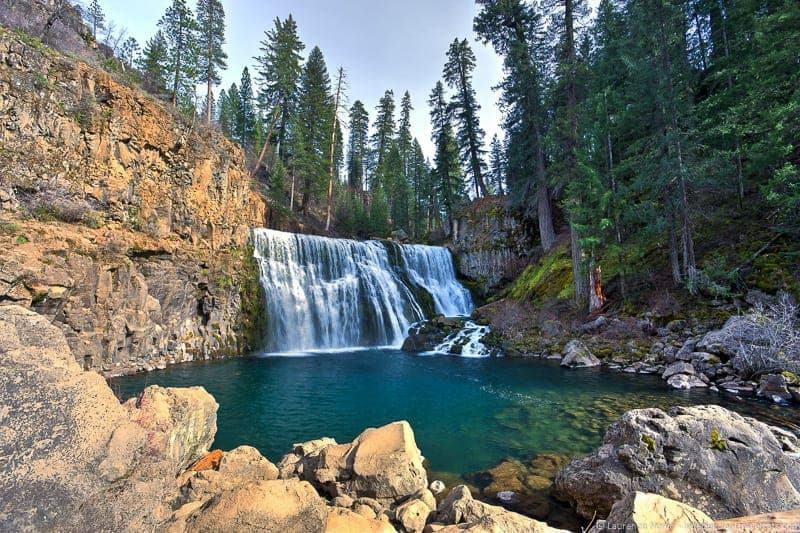 McCloud Falls consists of three waterfalls with a 3.8 mile trail bordering the McCloud River. You can walk or drive between the falls and the scenery is quite picturesque. The closest spot for good waterfall spotting near Redding is the Whiskeytown National Recreational Area which has four waterfalls that are accessible via hiking trails around the lake. You can pick up hiking trail maps at the Visitor’s Center and ask the park rangers for advice on which waterfalls to visit. A great way to learn more about any area is to attend an event and meet the local people! On just about any given day, you’ll find some event to attend in Redding or the greater Redding area. It may be a music performance, rodeo, county fair, classic car show, food festival, or sailing event, or perhaps a more low-key event such as a free movie in the park, farmer’s market, or a local bingo gathering. The local Bethel Church is also a draw for many Christian visitors to Redding as it hosts many events and conferences. To find out what is going to be happening locally during your visit, I would check out these two websites: Redding Events Calendar and the Shasta Cascade Events Calendar and also ask around once you are in town as many of the smaller events don’t make it into these calendars. 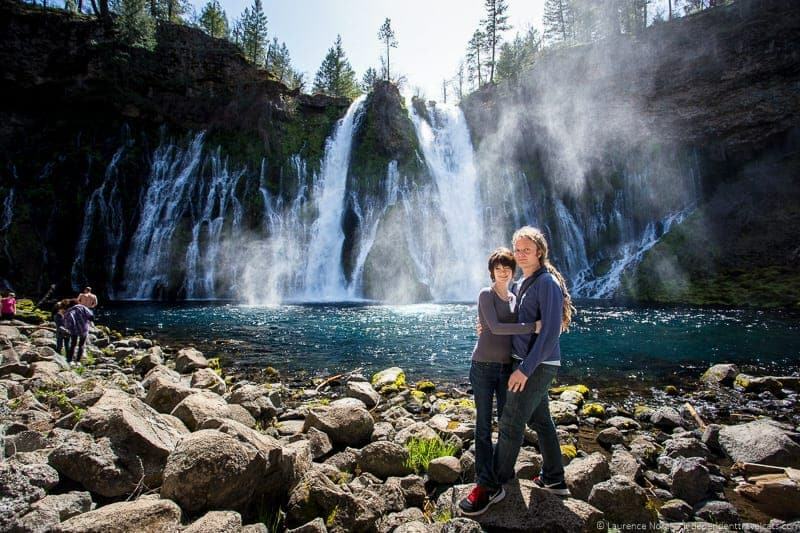 Although Shasta Cascade may be better known for its daytime outdoorsy activities, this area can still be the perfect place for a romantic weekend. Kindle the flame by taking a romantic cruise, attending a local performance, listening to jazz at a wine bar, or staying in a cozy bed-and-breakfast. Below are some of our recommendations to combine the great outdoors with some evening romance. A cruise along a local lake or river is a perfect romantic way to end a day and to watch the sunset. River Romantic Cruises in Redding provides 3-hour sunset candlelit private dinner cruises along the Sacramento River that are perfect for couples and they also offer brunch cruises on the weekends. 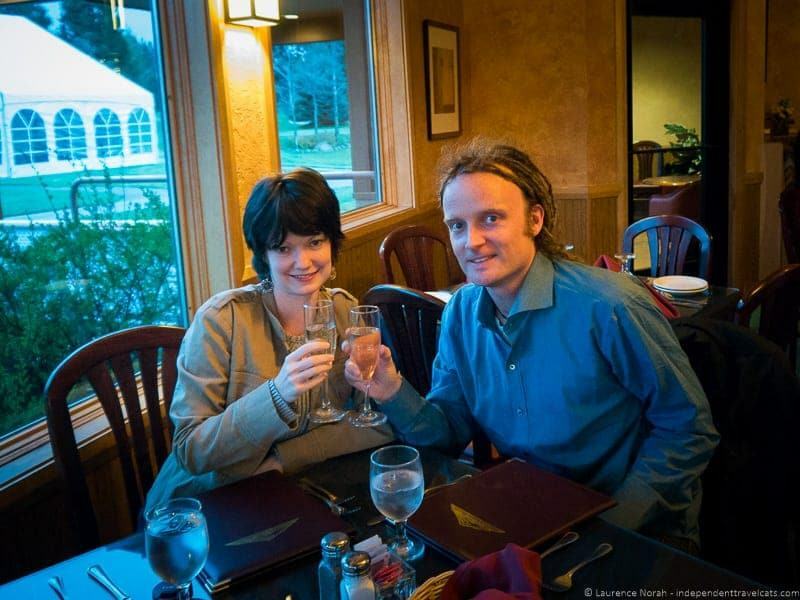 Lake Shasta Dinner Cruises also provides evening dinner group cruises that are a great way to explore Shasta Lake and are quite family-friendly. You can also rent a private boat if you are interested in spending more time on a local lake or river. 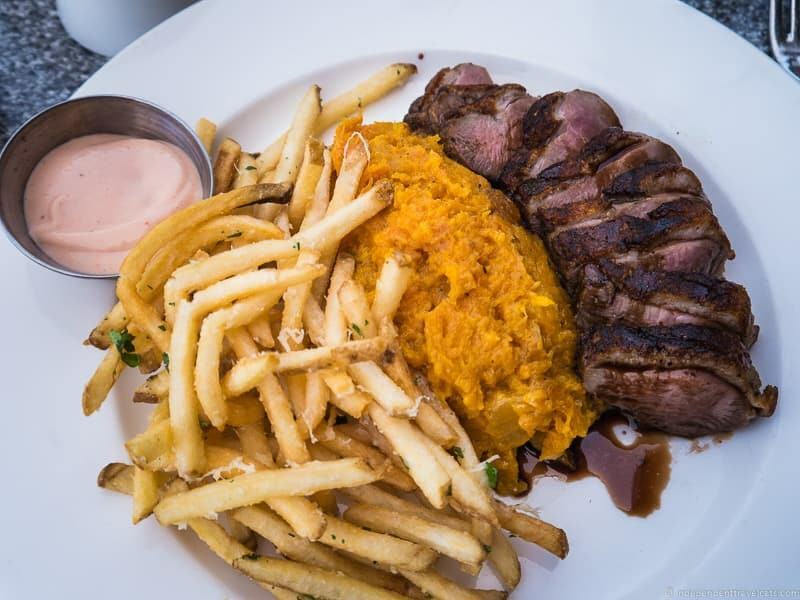 Redding is not San Francisco, so don’t expect lots of fine dining options or quirky ethnic food restaurants, but Redding does have a number of quality restaurants serving up good American style food. 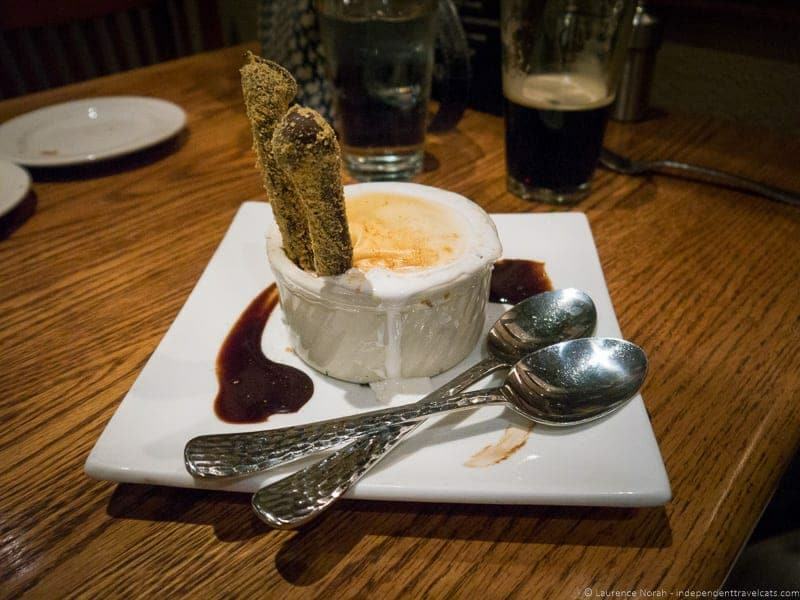 One of our favorite meals during our long weekend in Redding was at View 202 which has excellent locally-sourced American food, a lovely view of the Sacramento River, lots of outdoor seating, and friendly service. View 202 is great for lunch, but you’ll find a more romantic atmosphere after dark. Jack’s Grill has been a popular place to have a steak dinner in Redding since 1938 when opened by World War I aviator Jack Young. While the interior is not very romantic (although it is quite darkly lit), it is a local institution and a place to visit for all steak lovers (definitely recommend coming hungry and ordering a steak if you come here). C.R. Gibbs is a favorite hangout for both locals and travelers, located within a Best Western hotel, which serves American style food and a wide variety of beers, wines, and mixed drinks. We were told this is a popular place for locals to celebrate special occasions and a good place to gather with friends and family. If you are looking for an atmospheric place for wine in downtown Redding, we recommend checking out Vintage, which is a local wine bar that also often has live music and events. Some other restaurants we didn’t visit but were recommended while visiting Redding were Clearies’s Restaurant for fine dining, Chu’s Too for Chinese food, The Habit Burger Grill for a quick burger, The Savory Spoon for their vegetarian and vegan menu, and Wilda’s Grill for good lunch options. Outside of Redding, after visiting the Burney Fall and McCloud waterfalls, we headed up towards Mt. Shasta for closer view of the mountain and had a late dinner at the Highland House Restaurant at Mount Shasta Resort. We had a nice toast of Champagne to start off our dinner which was accompanied by lovely views of snow-covered Mount Shasta! You can of course watch the sunset from just about anywhere in the area and with all the natural wonders in the area you can even enjoy it along a river, next to a waterfall, or with Mt. Shasta in the background. 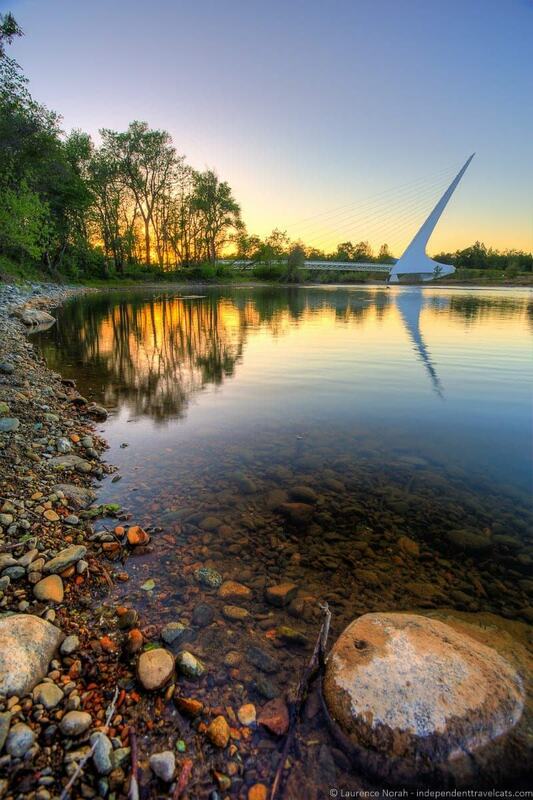 One of the most popular places for watching the sunset in Redding is around the Sundial Bridge and we definitely recommend this spot. The bridge is lit up with colored lights after dark and there are normally quite a few people about here savoring the sunset and taking after dinner walks. Another great option is to watch the sunset from a boat such as one of the dinner cruise options mentioned above. If you are north of Redding, we’d also highly recommend finding a spot to watch the sunset with a good view of Mt. Shasta and these spots are numerous as the 14,179 foot Mt. Shasta can been seen on clear days from very far away. If you are wanting to hike and camp, you might consider hiking the 3-mile Trinity Divide’s Heart Lake Trail to watch sunset at Heart Lake, which sounds like a perfect romantic spot as you can see the reflection of Mount Shasta in the lake and views of the Castle Crags. We instead opted for a less physical route and just drove to drive and park for a view at Lake Siskiyou near Mount Shasta Resort. 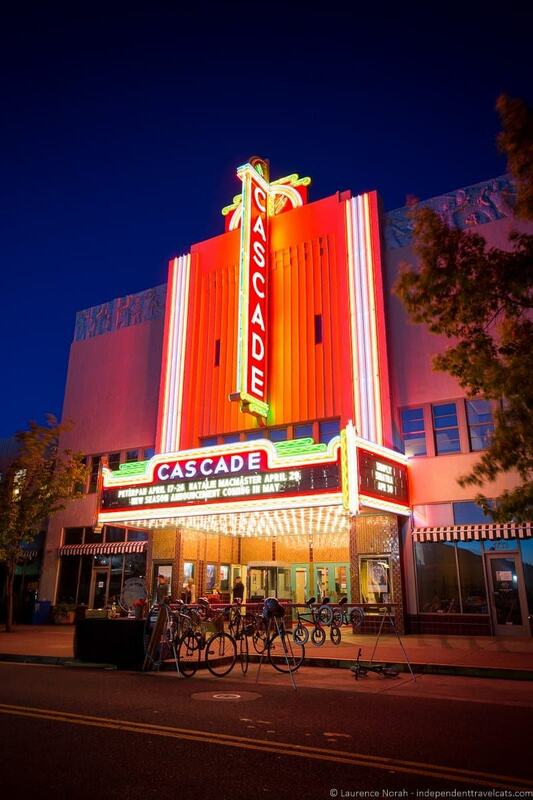 There is probably no place better to watch a film or performance in the area than the historic Cascade Theater in downtown Redding. Opened in 1935, this beautiful Art Deco style theater still holds a variety of performances during the year. You can also check out the schedule for Redding’s community theater Riverfront Playhouse and those of the local universities. For those looking for something both outdoors and free, check out the schedule for the free movies in the park during the summer months in Redding. If you are more interested in watching recent films, there are two Cinemark movie theater locations in Redding where you can share a bag of popcorn with your sweetheart. 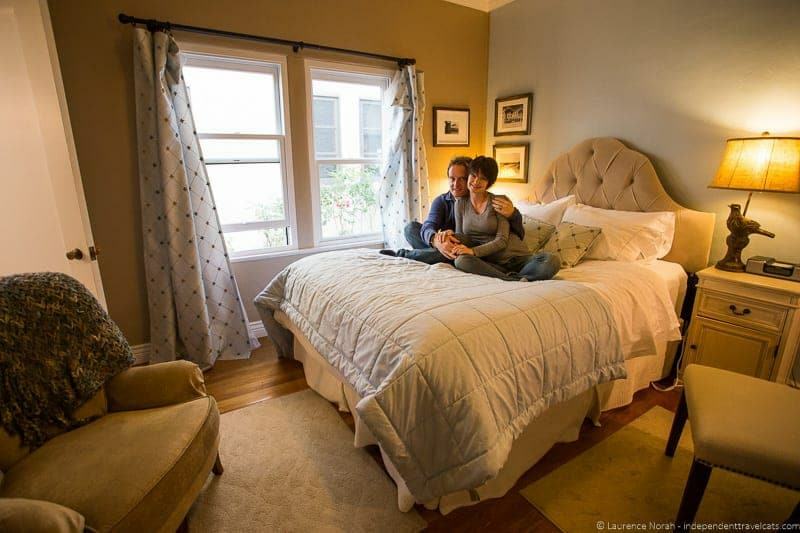 One great way to increase the romance quotient during a trip is to book a lodging option with some character and intimacy. Depending on your taste, this may be a self-catering apartment, bed-and-breakfast, resort, a mountain chalet, boutique hotel, or even a guest ranch. Or maybe you prefer to camp under the stars in one of the many pretty nature areas. 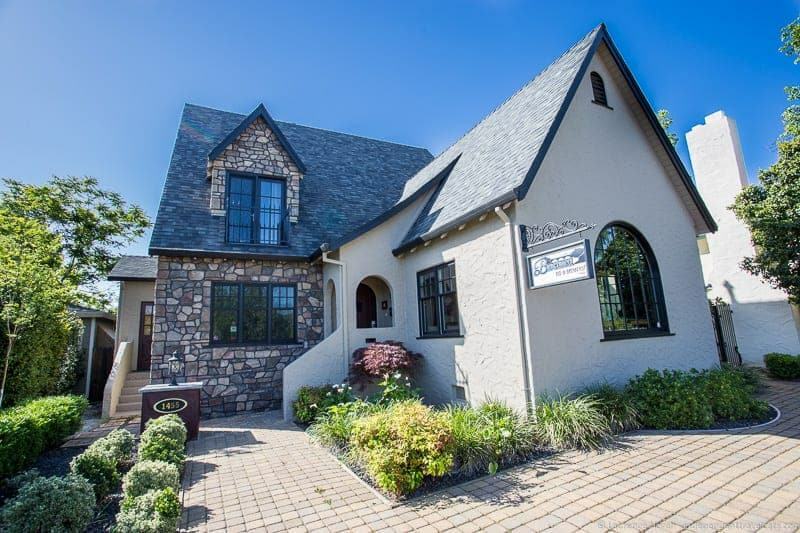 We personally wanted to stay in a cozy bed-and-breakfast and stayed at Bridgehouse Bed & Breakfast, which is a lovely house that is centrally located near downtown Redding. We had a comfortable room, a relaxing public living room area, and tasty homemade breakfasts. Each morning we enjoyed great conversations with our fellow guests around the breakfast table. We were also within a 10-minute walk of the downtown Redding restaurants and stores which was very convenient. For a list of lodging options you can check out the Shasta Cascade website or do a search on your favorite hotel booking website. We had a great three-day weekend in Redding, but we only got to see and do a small fraction of what there is to do in this vast area. Hopefully we will be able to return to see even more of the natural beauty in this great northern California region with a dash of romance! Is this area on your travel radar and if so, what would be on your itinerary? If you have visited this area, we’d love to hear your recommendations on the best things to do in Redding and the greater Shasta Cascade area. As always, we love to hear any thoughts or questions you may have! I have to ask… which camera are you using? the photos looks so beautiful!! That was really a great experience. The place looks really nice. Definitely worth visiting. Love the pictures. Thanks Tina for stopping by and you should definitely make time to visit Shasta Cascade and Redding if you are in northern California! I love reading about blogs of destinations o never even knew existed such as Redding and the Shasta Cascade area – it sounds absolutely perfect for anyone who loves nature trips and outdoorsy holidays and those waterfalls and caves are absolutely breathtaking! Wow – Redding looks like a great place! The waterfalls look stunning. You’re giving me itchy feet for CA! Jessica, There’s nothing better than getting out of the city and exploring the out-of-doors…especially in California. Gorgeous shots! Wow, Redding has so much going for it, you could have spent a lot longer there. 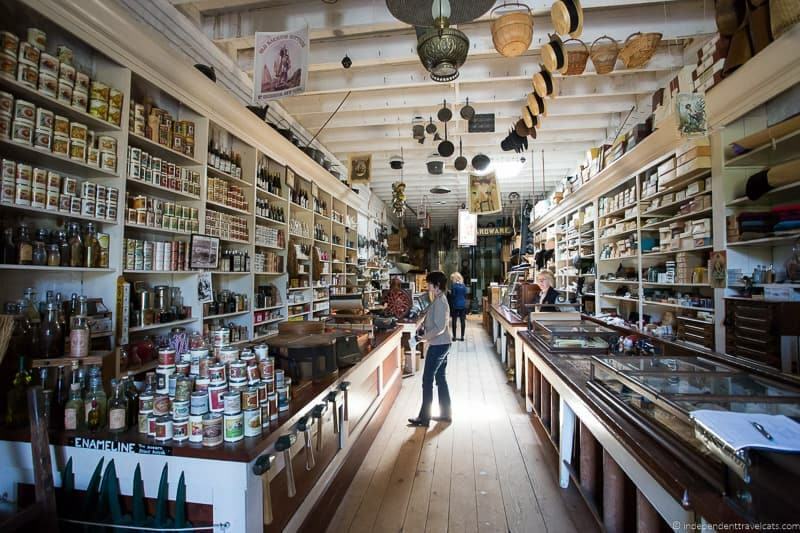 Love the general store and all of your photographs make the place highly desirable to visit. What a great post! I have lived in California for a long time but never visited the area. Burney Falls are amazing. I didn’t know about McCloud Falls but they look great too. It’s been many years since I’ve been in that part of California. It is just as beautiful as I remember and I enjoyed learning about some of the things I haven’t seen like the Lake Shasta Caverns. Looks like you found some great places to eat, too! 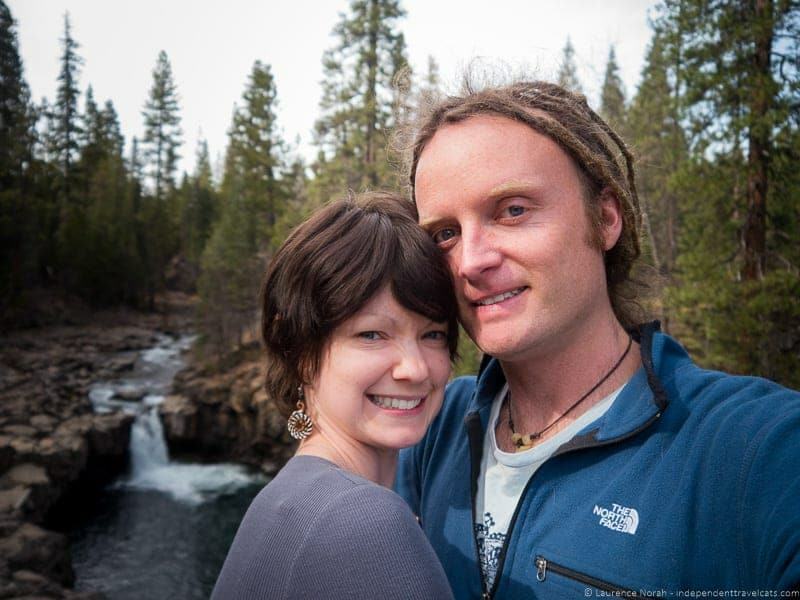 Shasta looks beautiful, but I am really loving how cute you two lovebirds are in these photos! Thank you for the beautiful pictures and wonderful reviews of the town I call home! I moved to Redding almost 9 years ago from Seattle. One of the first places I found was The Vintage Wine Bar and Restaurant. They consistently have excellent food and bring some wonderful bands through Redding, which for me has been important after having lived in a musical Mecca like Seattle. I love it here, Redding is quite magical and majestic! The nature surrounding Redding is like a massage for the senses, it’s fantastic! Thank you again! You guys find the neatest places. What beautiful photography — the waterfalls are simply stunning. I think I need to tell my brother in law because he loves nature photography and getting the water to look “just right.” The general store definitely looks like a step into the past. You are making me long for a touch of northern CA!